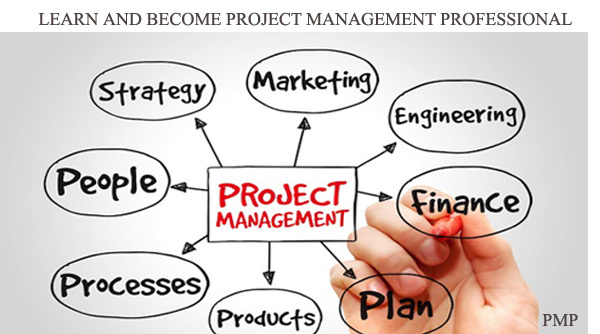 PROJECT MANAGEMENT PROFESSIONAL � PMP is one of supreme certification for Professionals who related to Project Management and willing to acquire world class international and accredited credentials. Management is the art but methodology creates the enormous impacts on the effectiveness. PMI-USA the Project Management Institute is the one of the largest and renowned body over the world and provides you the chance to enhance your skills and certify you skill sets by the PMI. 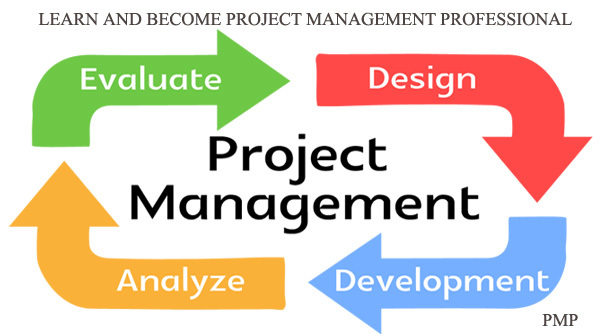 WHAT IS PROJECT MANAGEMENT PROFESSIONAL - PMP? PMP � Project Management Professional training in Pakistan is the professional certification that is offered by the PMI-USA and also provides the complete stuff, material, and tools, which equipped you for the preparation of PMP Examination or PMP Certification. As mentioned above that this is core certification regarding Project Management and only professionals who may have the four to five years of experience and exposure of Project management or at least 4500 Project hours from any organization can be able to learn and give the Examination. If the candidate is not fulfill the said requirement then he/she can able to connect with PMI via CAPM. 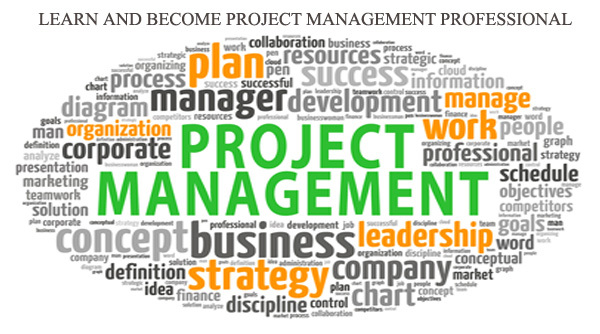 (For details; Please visit CAPM � Certified Associate in Project Management. The certification also required bachelor degree or If you are intermediate then at-least 7 Years of Experience or 7500 Man hours is required to full-fill the requirement of PMI. Before entering into the PMI Examination for PMP Training in Karachi or PMP Training in Pakistan, the candidate must be got the training of 35 PDUS (Professional Development Units) to sit in the examination from any accredited and recognized institute. We �3D EDUCATORS� have the accreditation and recognized instructor who are providing the services in this regard. So join our accredited training session according to our schedule. 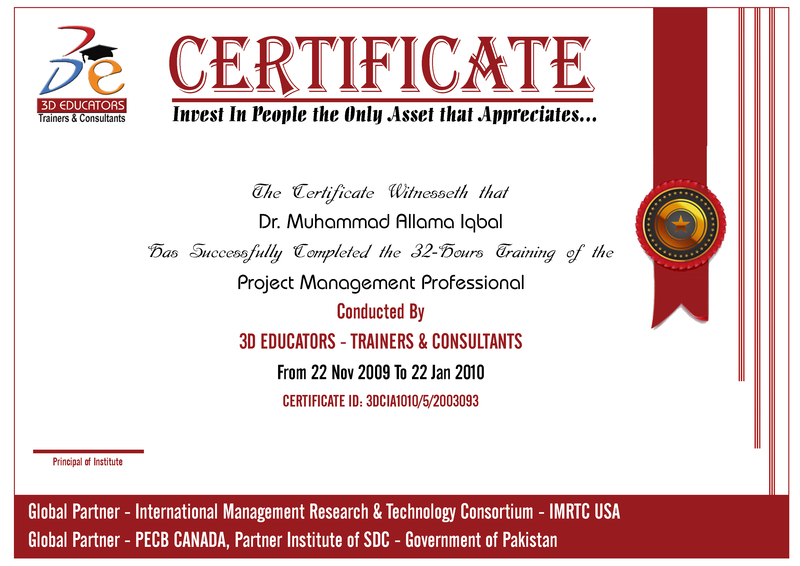 Project Management Professional - PMP Training in Karachi or Project Management - PMP Training in Pakistan offers by 3D Educators and also you can do the Online in the real time according the schedule. 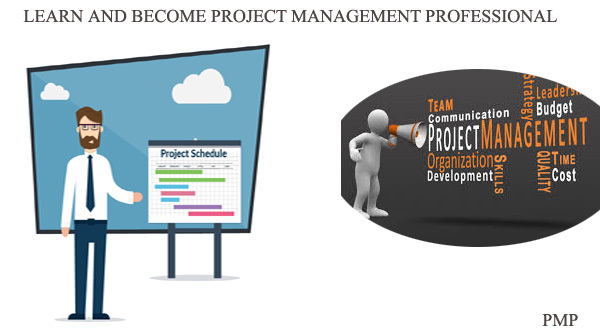 Welcome to PMP - Project Management Professional with 3D PDUS Accredited Training. 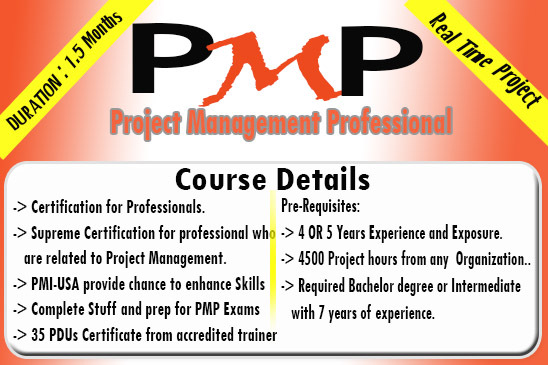 PMP Training with 35 PDUs with Accredited Trainers with Complete Project. Project Management For all. A four-year degree (bachelor�s or the global equivalent) and at least three years of project management experience, with 4,500 hours leading and directing projects and 35 hours of project management education. A secondary diploma (high school or the global equivalent) with at least five years of project management experience, with 7,500 hours leading and directing projects and 35 hours of project management education. " The Project Management Professional Course in Pakistan is designed for experienced managers who are dealing and managing projects either on self based or at any corporation. The training will be useful for those, who are belonging from industries, social sectors and development organizations. Otherwise if the Managers have 4-5 years of experience or can claim 4500 man hours can also attend this training program. FURTHER IF YOU ARE NOT FULFILL THE SAID REQUIREMENTS OR FRESH GRADUATE THEN YOU CAN CONNECT WITH THIS INTERNATIONAL BODY VIA DOING TO CAPM - CERTIFIED ASSOCIATE PROJECT MANAGER .